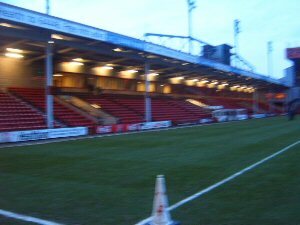 The Bescot was always a ground that I had a little treperdation about visiting. Although going past it on the motorway, as well as seeing several pictures of the ground and thinking that it was a good ground, a lot of reports on the internet had said it was a terrible ground to visit. However, like most other grounds I decided to reserve my judgement. 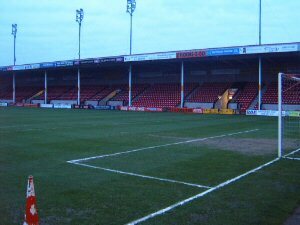 Getting to the Bescot wasn't much of a problem, with just several miles of motorways followed by a few little roads, not to forget that parking directly at the ground, which proved to be a "lifesaver." There is a fair bit to do around the ground, with a local retail park just a quick 5 minutes walk away, alternatively there is the supporters bar. However, this bar offers very little to away fans because it's highly unlikely a travelling fan will be a member of their bar, and if you aren't then you're stuck in a room that doesn't even have a TV to watch. 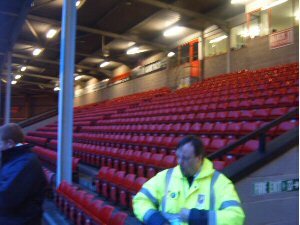 Anyway, once getting inside the ground I automatically struggled to see what other fans had been complaining about. Granted it's not to best ground in the world but at least it was different. I mean how many grounds these days do you see that are just bland and uninteresting? You certainly can't say that about the Bescot, as it reminded me of Glanford Park with a bit of Edgeley Park in it. The away end itself was of a fair size, but had several pillars that blocked the view slightly if you were sat towards the sides. This stand offered a great view of the action, and it seemed highly possible to create a decent atmosphere. The two side stands seemed almost identical, raising a few steps of the ground before stopping. Then the final stand dwarfed the rest of the ground, but it was a top quality stand. The atmosphere at the Bescot was disappointing, and other than a bit of singing for the first 5 minutes, it was virtually silent for the remaining section of the match. They rarely seemed to get behind their team and seemed to spend the majority of the game moaning at their team. 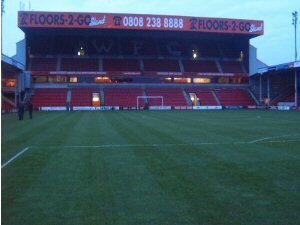 Overall, I enjoyed my trip to the Bescot and I would definitely like to visit here again. 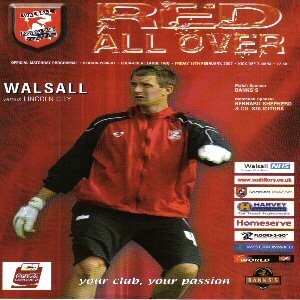 I would also recommend it to other fans as Walsall fans are also very welcoming, and it's great for a bit of "banter"